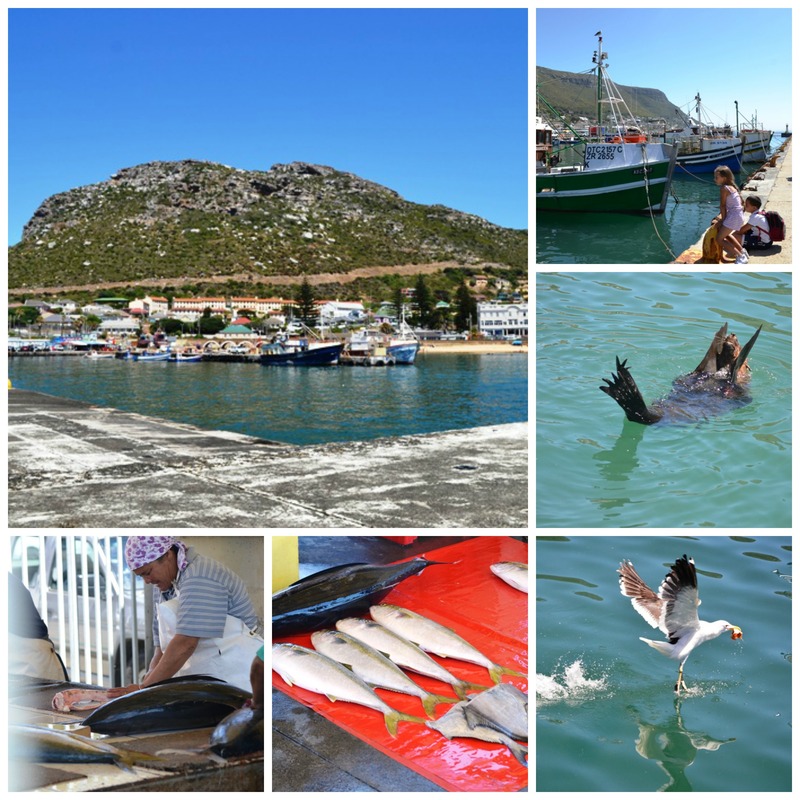 A spur of the moment road trip a few weekends ago led us to drive around the Cape Peninsula with the intention of exposing our kids to the vibrant and busy harbor in the little town of Kalk Bay. While Anton and I grew up in the southern suburbs and were quite familiar with the sights, smells and sounds of this boat busy bay, our children hadn’t seen anything like it before. The kids were enchanted by the seals who seemed quite used to people pointing cameras at them and made a point of playing to the crowd, would have happily spent the day on the dock just watching these super swimmers interact with each other and compete with the bits of fish being thrown for them by the ladies who were filleting fish bought by customers. According to a Twitter friend, one seal is well known for playing “hide-and-seek” behind his fins and clapping “hands”. After lunch at Kalky’s the kids were very ready to do some more exploring so we headed to Fish Hoek from some ice cream and a splash in the shallows of this section on the False Bay coastline where great white sharks seem to love to hang out. Well, the Afrikaans call this beach Vishoek which, when translated into English means Fish Corner, so it’s fairly obvious why the sharks like to cruise under the seaweed in that bay. Since we had made it that far it seemed silly to just turn around to go home so we headed on towards Cape Point in the hopes of spotting a few baboons that usually line the road and hover close to picnic spots along the side of the road to hijack the food of innocent travelers. Despite the signage and warnings along the way, people insist on feeding these creatures who have powerful jaws and do serious damage when they are not given what they want. Please remember that these are wild animals who should never be tempted with food, no matter how “cute” they seem to be. They are clever enough to open doors and put hands through windows so please practice the necessary caution and use common sense when interacting with them. 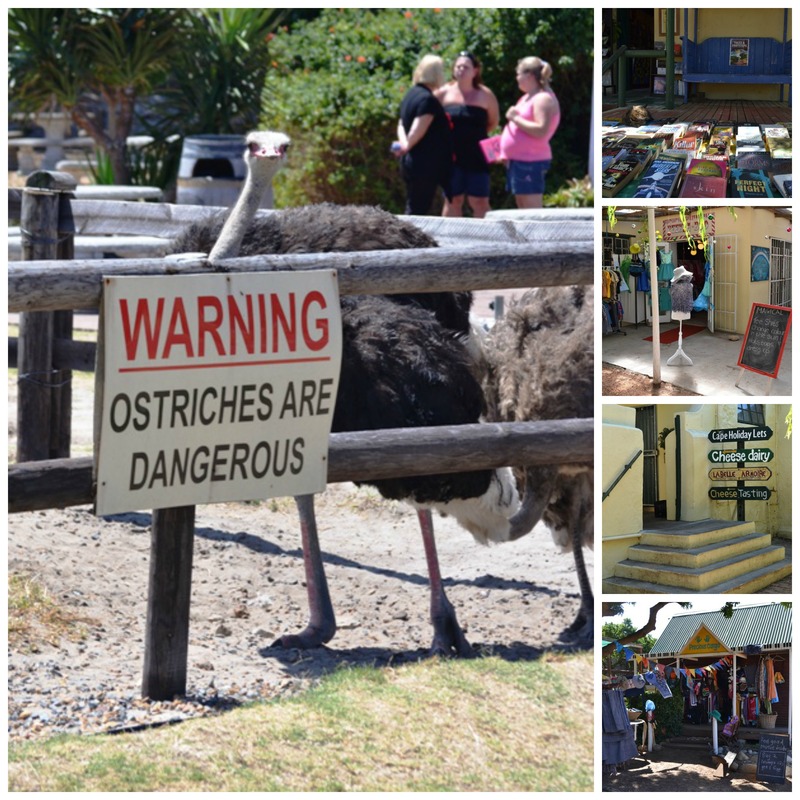 We didn’t really have a particular destination in mind and simply followed the road past Cape Point (which we will set aside a whole day to visit in the future) and popped in at Cape Point Ostrich Farm. I honestly had no idea that this place existed so the walking tour around the farm has been marked as an activity to do for another day. 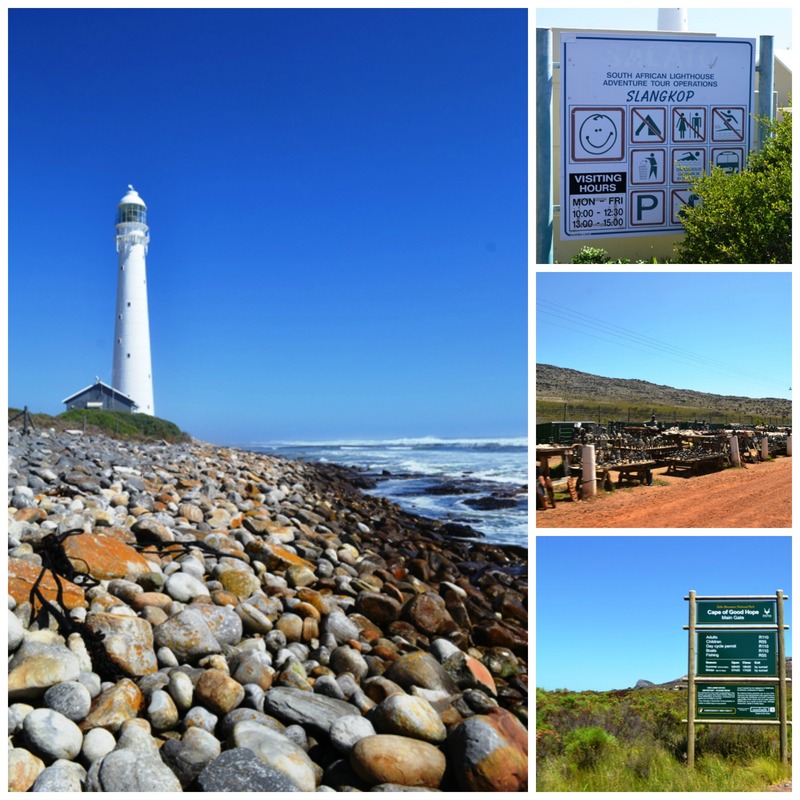 After consulting the GPS we found that we were fairly close to Slangkop Lighthouse so we followed the directions to get us there. Unfortunately it is only open from 10am-3pm Monday to Friday so we will have to take a trip out there during school holidays to see the inside of South Africa’s tallest cast iron lighthouse. As we headed home we stopped off at Imhoff Farm to pick up some ice cold fruit juices and snacks and, after a bathroom stop we hopped back in the car and wound our way back to the West Coast. The kids couldn’t stop chatting about the seals and ostriches they had seen and wanted to know when they could catch fish off the Kalk Bay pier so there are loads of things we need to go back and do properly and it’s nice to know that they learned something new about the beautiful city we live in. What’s your favourite thing about the city you live in?